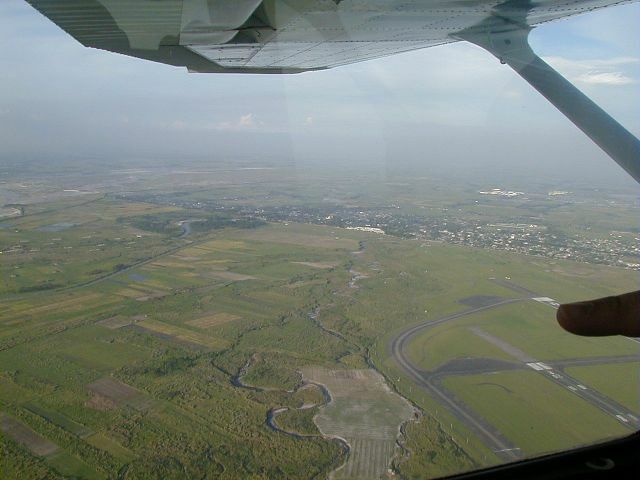 Looking northeast across the northeastern regions of Clark Air Base, which remain largely undeveloped to this day and are used for agricultural purposes. 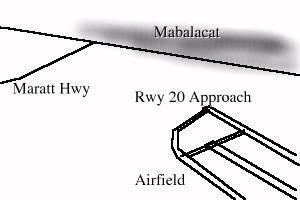 The finger covers the newer runway built in the mid-1990s (02R-20L) while the closer runway is Clark's original runway, 10500 ft long and 150 ft wide. The town of Mabalacat is visible off in the distance. Want to correct or clarify information about this photo? Send an E-mail to clarkairbase@clarkab.org. Mention you are referring to page "a51.htm".